Home » Posts » Attentionology for K-5 Teachers » A Labor of Love! What made you want to be a teacher? In the course of my work, I’ve met educators and parents who knew from the time they were elementary school students themselves that they were destined to teach. Janet Bauer, shown in my blog pic here, believes that her involvement in education is a mission that began when she was very young, though she didn’t recognize it at the time. Janet wants to help children around the world know how great they are. That’s why she founded a non-profit program, I’m A Great Child Worldwide℠, that empowers children by enhancing their natural strengths, self-esteem, confidence, resilience and speaking skills. 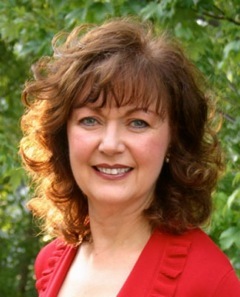 Janet knows from personal experience that children learn what they live. She’s proof positive that when a child’s life is empty of security, love and nurturing, as Janet’s was when she was at home and in school, that child will struggle to blossom into the beautiful flower they can become. 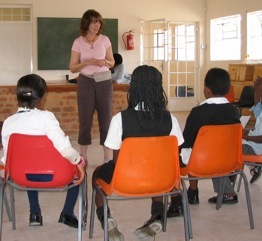 As you’ll see when you visit, the website quotes the world-famous Italian master, Michelangelo, with these words: “I saw an angel in the marble and carved until I set him free.” Janet and the teachers she has helped to train have enabled children that live in areas touched by poverty – including in the US, South Africa, Botswana and Kenya – to “free” themselves with new confidence and self-esteem derived from participation in her program. Like Janet, you may work with children that face the challenges of poverty. Information and resources you find as you discover Janet’s program may assist you in helping them. When you learn more about Janet’s background, I think you’ll understand why it’s no wonder that she relates to children living in slums and very poor villages. They inspire her. I’m A Great Child Worldwide℠ empowers children that face what Janet calls, “environment-triggered trauma” – poverty, crime, drug abuse, physical and emotional abuse. Encourage adults to recognize the unique and positive qualities in each child they teach. Model how adults can find and create opportunities to point out each child’s specialness. Help children see themselves in positive ways, paving the way for them to achieve goals, including success in school. Success in school – there’s a clear Attentionology connection! The premise of Janet’s program is that when children come to school with enough appreciation for who they are, they feel empowered, and can focus on learning with confidence in their own capabilities. Janet was recognized as a hero in a Kenyan publication, Parents Magazine, in August, 2009. She and her program were also featured that year in the Daily News, Kenya’s national newspaper. Any opportunity to spread the core message of I’m A Great Child Worldwide℠ is cause for celebration. As with any charitable effort (and none hold onto someone’s heart more than Janet’s program holds onto hers), publicity helps link people with fundraising efforts that support the program. Those words could be from Janet’s personal notes, as well. 2 Pings/Trackbacks for "A Labor of Love!"